Thank you for your support during this difficult time. Please enhance this tribute to Chipper by adding your memories. 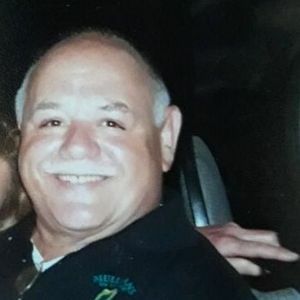 Joseph E. "Chipper" Costanza Jr. died at his home in Melrose on April 13, 2019. He was 71 years of age. Joseph was born on December 12, 1947, graduated from Melrose High School, Class of 1965 and has been a lifelong resident of Melrose. Mr. Costanza worked as a machinist at the Polaroid Corporation for over 25 years. Chipper was a lover of sports and was a huge Boston sports fan. He was a longtime member of the Melrose Lodge of Elks, loved going to the beach and enjoyed watching comedy sitcoms on TV like the Honeymooners, the Drew Carey Show and Seinfeld to name a few. Joseph was also a dog lover, had dogs his entire life and especially loved his best pal "Ollie". Mr. Costanza was the beloved brother of Lynnette Von Kriegenbergh of Melrose, Cheryl D'Amore & her husband John of Saugus, Judy Gallant of Melrose and the late John Melchionno & the late Nickolas "Buzzy" Costanza. Lifelong and dear friend of Nancy Donato of Turner Hills, MA and Best Pal to Ollie. Also survived by numerous nieces, nephews and friends. Visitation will be held at the Gately Funeral Home, 79 W. Foster St. Melrose on Tuesday, April 23, 2019 from 2:00-6:00PM. Relatives & friends are respectfully invited to attend. Funeral services and burial will be private. In lieu of flowers memorial contributions may be made in Joe's name to the Northeast Animal Shelter, 347 Highland Ave, Salem, MA 01970. So sad to hear of Chipper's passing. He was a good guy and will be missed. My sincere condolences to the family for your loss. May you find strength in your faith and look to your friends in this time of sorrow. RIP Chipper. Thank you for your kindness. Life Stories provides friends and families a forum to post their favorite stories and memories of Joseph E. "Chipper" Costanza, Jr. ensuring the precious experiences are never forgotten. Share joyful times, post a photo that captures the moments you cherish, and allow others to reply, relive and remember.